A guided, selective and very abridged tour through the last 2,000 years of papermaking from the former owner of England’s last full scale commercial handmade paper mill. Illustrated with a wide variety of images, some familiar and some not, including many from the Hayle Mill collection dating back to the 19th century and also other English Mills. It will also include recollections of major Californian book projects of the late 20th Century using Hayle Mill papers including for the Arion Press, the Press in Tuscany Alley and the Allen Press. 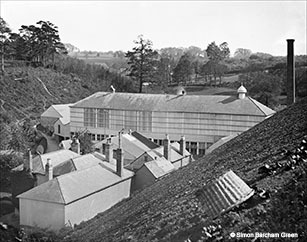 Simon Barcham Green is the sixth generation of the family that ran Hayle Mill, Maidstone from 1812 to 1987. He has a BSc in Paper Science from the University of Manchester and worked in half a dozen machine mills before joining the family business where he introduced the first alkaline sized mould-made water colour and hand-made papers in the world. He developed many new papers for conservation purposes and worked closely with some of the leading private presses to produce bespoke papers including special watermarks. He has visited hundreds of paper mills in recent years and provided consultancy services to many in India, Bhutan and the Philippines. He is now Business Manager of the Institute of Conservation, a member of the British Association of Paper Historians and is in continuous correspondence with people around the world on papermaking matters.